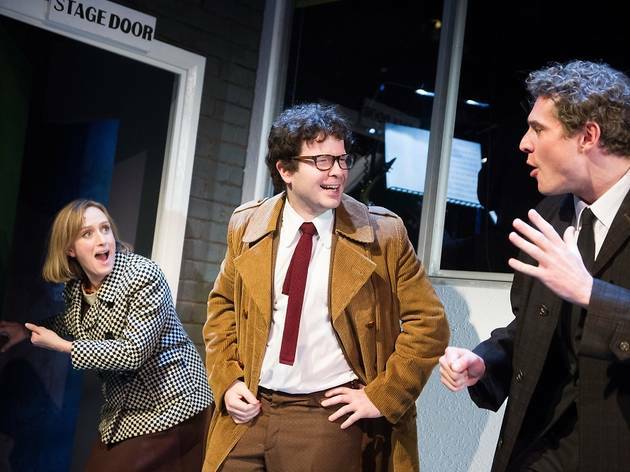 Stephen Sondheim's time-travelling 1981 musical requires deft handling if a production is to peel back its layers of brittle wit and brilliance and expose its heart. Happily, Maria Friedman – as a performer a much-admired Sondheim interpreter – proves the possessor of a dexterous pair of hands. Her directorial debut is at its best richly detailed, the eroded ideals, desperation and disillusionment of middle age depicted with both brutal honesty and compassion, in gut-wrenching contrast to the heady optimism of youth. Some sequences are a little coarse, and at times Friedman allows herself and her cast to splash about in the puddles of sentiment in George Furth's book. 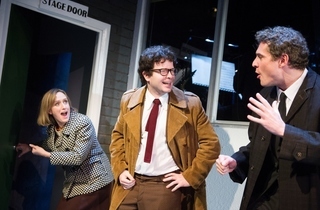 But as the longtime friends whose journey the show charts from bitter estrangement in 1976 back to a charged first meeting nearly 20 years earlier, Mark Umbers, Damian Humbley and Jenna Russell are such a terrific triumvirate that the piece's emotional pulse never falters. Watching Russell's Mary, in love with Umbers's Frank pretty much since she laid eyes on him, rewind through decades of yearning and disappointment that have left her a miserable, acerbic lush is agonising and queasily funny. Umbers smoothly shows how Frank's passion and ambition have curdled into prickly self-regard, while Humbley's gentle, earnest Charley quietly bleeds from multiple small, deep wounds to his loyalty and integrity. The delivery of the musical numbers, from the sour to the celebratory, the wry to the wrenching, is delicious. But it's the tender ruefulness of the show's life lesson that lingers. A thoroughly enjoyable night. I'm not usually a fan of musicals but this was brilliantly executed and incredibly engaging. The cast we fantastic and the venue is totally unique (definitely try and eat there beforehand). There were some amazing individual performances (Clare Foster's performance was sublime), which made it genuinely moving. I saw this on Monday night - a truly exceptional show. A strong cast (leads and ensemble) plus a consistently engaging production. Often skillfully directed with a soft touch. One or two timing issues with the difficult score, and one or two company numbers (including the opening) that felt needed a little more development time in the rehearsal room. But overall one of my most magical nights at the theatre (and I have had many).